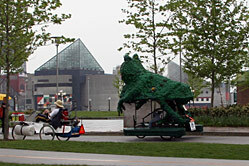 The American Visionary Art Museum maintains a stable of animal-themed sculptures to help inspire Kinetinauts to greatness. 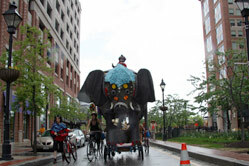 This year, Bumpo the elephant was modeled on the Academy Award success of Slumdog Millionaire. 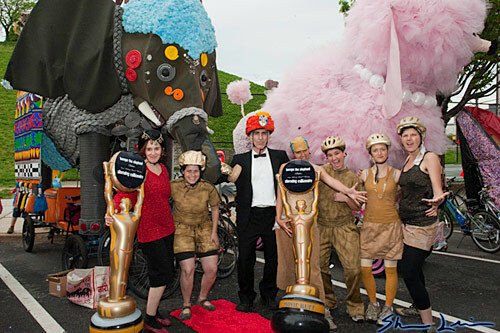 Pilots and pit crew were costumed as live Oscars, paparazzi, and the cast. 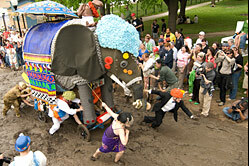 They played the soundtrack along the racecourse, and provided champagne so race officials could toast their success. 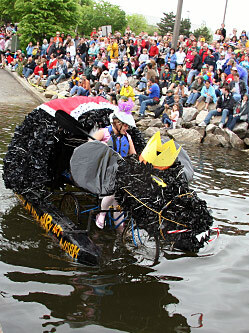 Bumpo team photo courtesy of Shawn Levin Photography. 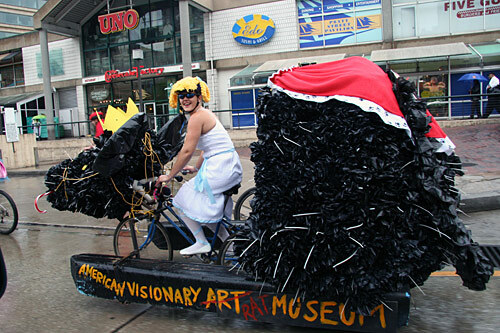 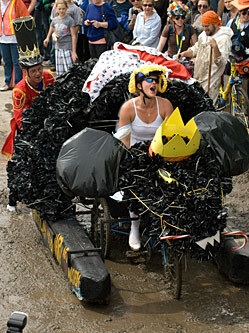 For 2009, the Rat King was spruced up on a Nutcracker Suite theme, complete with a royal pit crew member. 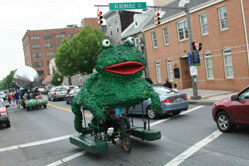 AVAM’s Frog returned for its eighth race. 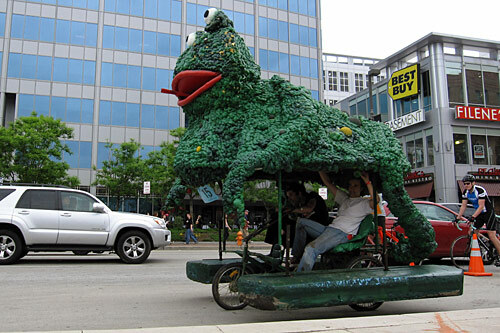 It had a new left eye to remedy its 2008 injury, but somehow lost its tongue during the race.